I.T. Support when you need it. The inherent problem with technology is that sometimes things go wrong. While issues are inevitable, a long wait time doesn’t have to be. At Red Five, we’ve recruited and trained the highest caliber of staff to ensure that you receive the best help support exactly when you need it most. 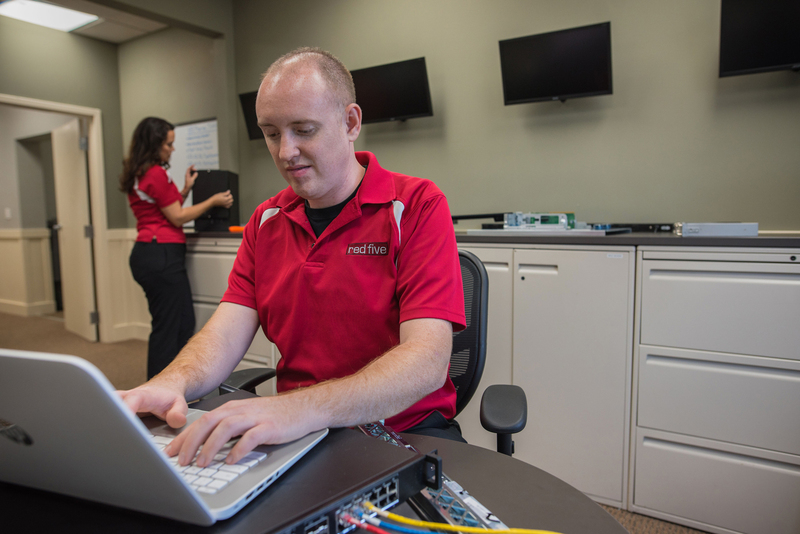 Red Five provides local IT support professionals who are ready to fix any of your problems and answer any questions or concerns, either remotely or on-site. We know that technological problems are a hassle, and your business can’t function while your information is down. That’s why we offer our help desk support 24 hours a day, 7 days a week, via phone, email, or our online ticketing system. Our certified Red Five technicians don’t use scary computer jargon either; they speak in terms you know and understand in order to eliminate any confusion or resulting frustration. We also make use of remote support tools, so that we can get into your system quickly, identify the problem, and resolve it in the least amount of time possible. Our services and plans range in size and scale for large and small companies. One thing remains consistent throughout our business: We strive to provide the highest level of I.T. Service available. We’d love to hear how we can be of service to you.